What Are We Typically Getting Wrong About "Leadership"? Elaine Krek takes the guesswork out of Leadership in this podcast. Elaine is a Leadership Consultant - GALLUP Strengths Coach - Facilitator - Conference Speaker, whose mission is to Take the guess work out of Leadership. She is the former Sales Lead for Global Brands @ Pfizer and through her current business, Prism Performance, she helps her clients Maximise Engagement, Productivity and Profitability. Greg has four decades of owning, managing and growing staffing businesses across the world, and sharing the tactics that work. He has been the founder of four highly successful businesses; Recruitment Solutions (taken to IPO). Firebrand Talent Search (trade sale), Eloquent Staffing (trade sale), and People2People (currently Director and Owner). This man has lived and breathed economic downturn twice, survived and more than that, thrived throughout. So much wisdom to glean both for those in Recruitment but also any business. A former model, Taryn launched Wink Models in 2007 at the age of 21 and it has since cemented its place as one of Australia’s leading commercial modelling agencies with turnover in the millions. In 2016 she launched her second business, theright.fit, a two-sided marketplace connecting brands with creative talent and influencers. Soon after launch she successfully negotiated investment (over $1million) with Airtree Ventures, along with other strategic partners and funds. The platform has over 7,500 talent and has worked with major brands. We discuss emerging trends, AI, CRMs, the short-comings of most Sales strategies and the uniqueness of B2B, plus much more in this fascinating interview with top global Sales Strategist, Tony J Hughes. Tony is a B2B sales strategist, Keynote Speaker, Sales Improvement Consultant, Bestselling Author & Award Winning Blogger on top of being named as one of LinkedIn Top Voices of 2018. 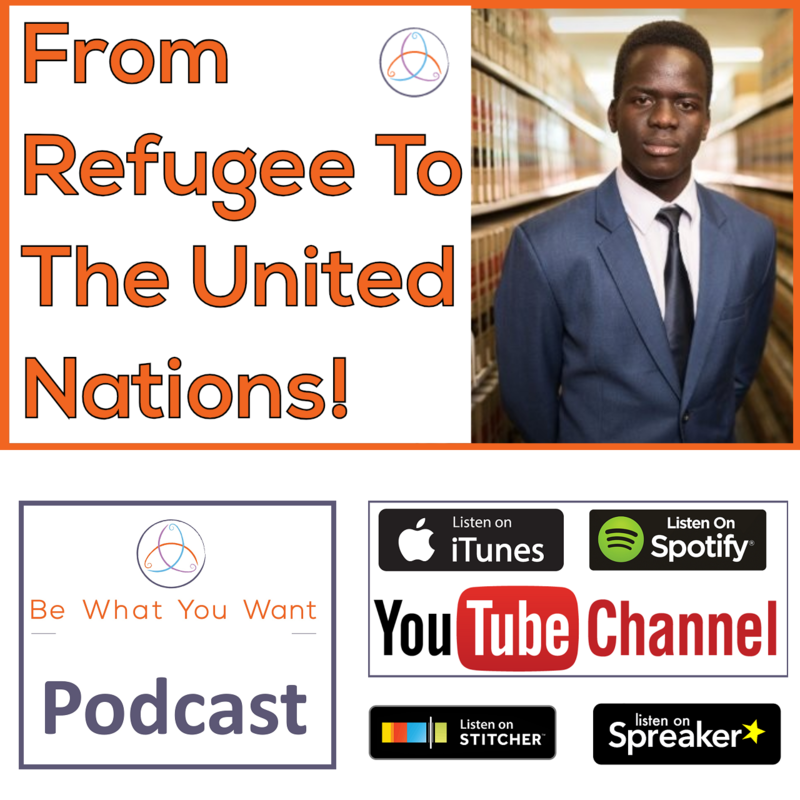 Duku Forè (Keynote Speaker) Came to Australia at the age of 10 with his family of 10 from a Ugandan refugee camp, couldn’t speak English and struggled at school. He represented Australia at the United Nations Headquarters in New York in 2016 as part of the Youth Assembly and recently spoke at his first TedX in Sydney Olympic Park 2018. Duku's achievements are impressive but what's event more impressive is his age, attitude, ambition and determination to succeed. Formerly Head of UX at the Australian Football League, Jamie worked on UI, connected stadium visioning, and spearheaded the organisation's first virtual reality R&D initiatives. He is the Principle Consultant @ Skella & Co, has won the World Economic Forum Technology Pioneer award for his Blockchain voting system and consulted for tier one companies across Blockchain, IoT, e-sports, virtual reality, future food and more. 15X Founder | Startup Mentor | LinkedIn Top Voice | Angel investor | Authour - supporting ‘experienced professionals’. He is also the founder of Startup Foundation, a startup accelerator for professionals aspiring to setup in business. Rusty is the Owner Director at Double R Equipment Repairs - Double R is an award winning “One Stop Shop” offering New Machinery Sales, and Trade Services to the Transport, Agricultural, Marine, Mining and Construction industries. He decided to start a business whilst driving through South America with his now Wife after travelling the world in his 20s. Hear how he built his business from 1x Man, 1x Ute to 160x People across multiple locations. Rusty is a man grounded in principles, values and offering great service whilst treating everyone with respect, autonomy and responsibility - much wisdom to impart! David Moses is the Owner and Director of Horizon - Residential and Commercial Builders, who describes him as someone that will build projects that you'll love, and love building together. He was also recently name Master Builder of the Year by MBA NSW. In this Podcast we talk about Values Based Business, Attaining & Maintaining Excellent, The Power Of Saying No & Innovation In Construction. Be What You Want has a Business Membership where you can access the best knowledge on how to run your business. Douglas Nicol is a TedX Speaker, Entrepreneur and Partner at The Works Sydney, describing himself as a Digital Planner, Creative Partner and Data Nerd. In this episode we discuss how AI can use data to heighten Emotional Intelligence, with applications in Mental Health, Transport and much more. An absolutely fascinating discussion and real pleasure to have the conversation.